Toronto-based DJ duo Loud Luxury scored one of the hottest tracks of the summer with their breakthrough single “Body” featuring Brando (centre). 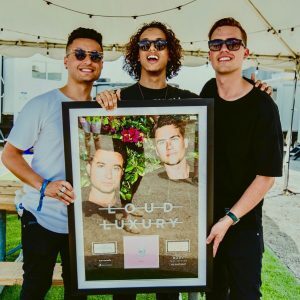 Originally certified Gold in March, “Body” was officially certified 4x Platinum ahead of their massive hometown performance at Toronto’s VELD Festival, where they were surprised with a plaque from Sony Music Canada. Photo Credit: Sony Music Entertainment Canada Inc.
Watch the video for “Havana” below. Montreal-based indie rockers Arcade Fire closed the North American leg of Infinite Content tour, which found the band perform in-the-round at more than two dozen arenas across the continent, with two shows last weekend at Toronto’s Air Canada Centre. 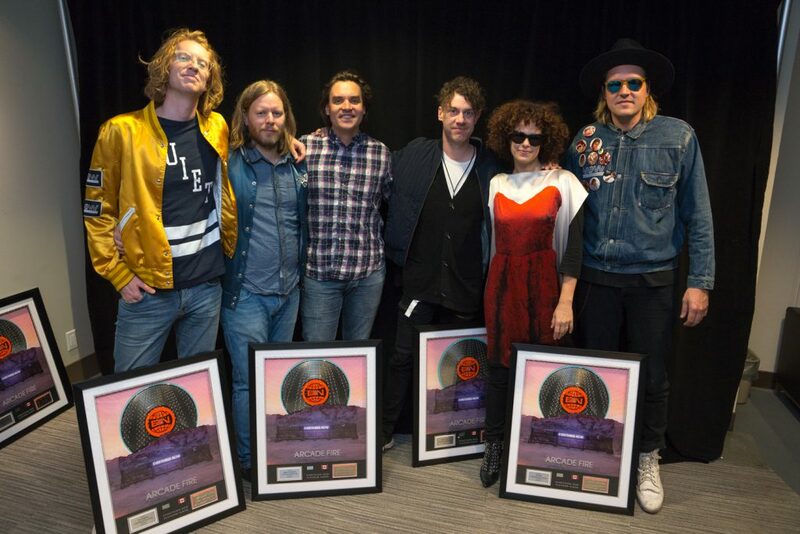 Prior to the shows, the band were surprised with Platinum award plaques for their fifth studio album, Everything Now, by Sony Music Canada. Everything Now is the bands fourth Canadian Platinum certification, joining their landmark 2003 debut Funeral, 2010’s Double Platinum album The Suburbs, and 2013’s Triple Platinum two-disc set Reflektor. The video for the album’s title track can be viewed below. The Chainsmokers with manager Adam Alpert (left) backstage at Toronto’s Air Canada Centre. 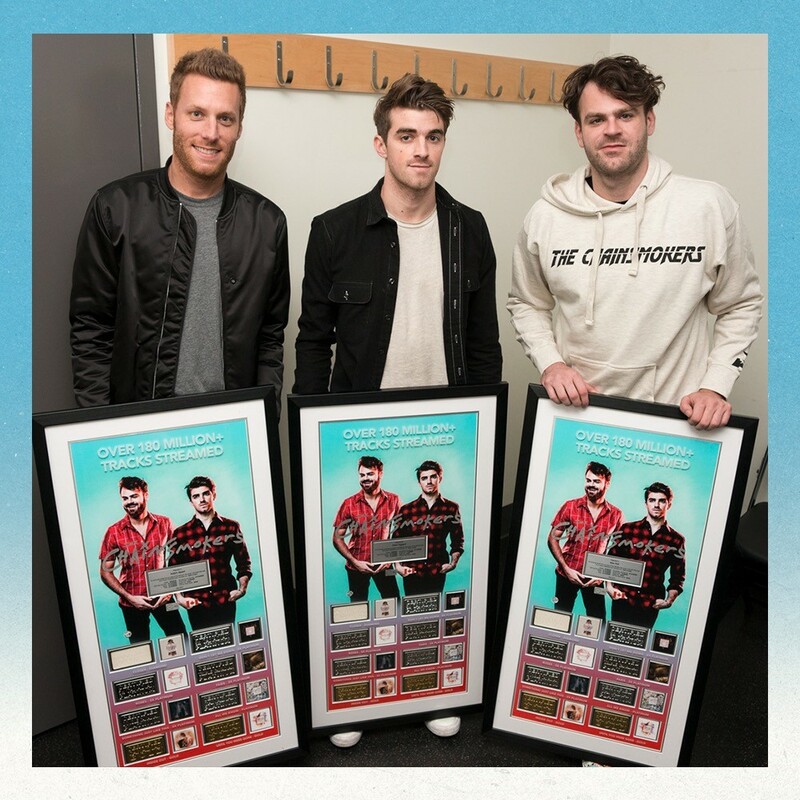 The Chainsmokers are now Diamond-certified artists in Canada! 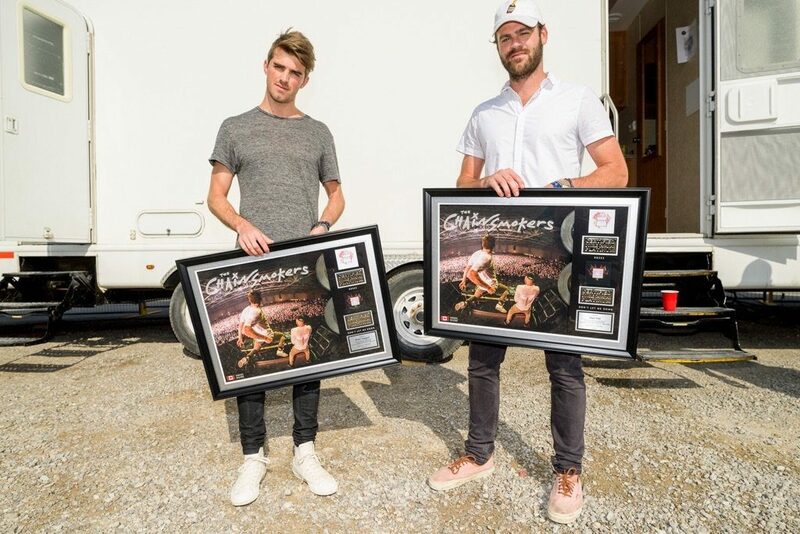 Prior to their show at Toronto’s Air Canada Centre, the American DJ/producer duo was presented with custom plaques commemorating the Diamond certification of their smash hit “Closer,” as well as seven of their other Canadian-certified hits. “Closer” joins Drake’s “One Dance” and Adele’s “Rolling In The Deep” as the third track in 2017 to be certified Diamond, which combines on-demand streams and digital download sales. The new certification guidelines were launched in September 2016, with Mark Ronson & Bruno Mars’ “Uptown Funk” becoming the first track certified under the new criteria. The video for “Closer” can be viewed below. 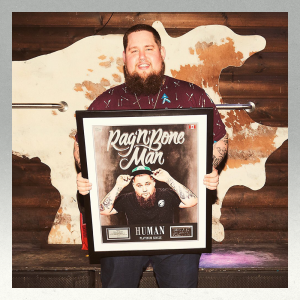 UK singer Rag’n’Bone Man is having a record breaking year following the release of his debut single and album “Human.” Prior to his first Canadian show at Toronto’s Adelaide Hall Monday, the rising star was presented with a Platinum plaque for his breakthrough hit. Rag’n’Bone man will return to Canada this summer for the WayHome Music & Arts Festival in Oro-Medonte, ON. The video for “Human” can be viewed below. The duo shared the news with their fans via Twitter, thanking Sony Music Canada for their efforts. The duo also thanked their Canadian fans for their energy during their performance with a unique video that provides a glimpse at their view from the VELD main stage. The Chainsmokers will return to Canada this weekend for a performance at Montreal’s ÎleSoniq festival on Friday, August 5, before continuing on an international tour for the remainder of 2016. Earlier this month, some of the biggest Canadian and international names in music gathered by Queen and John St. in Toronto, ON for the 2016 iHeartRadio Much Music Video Awards. 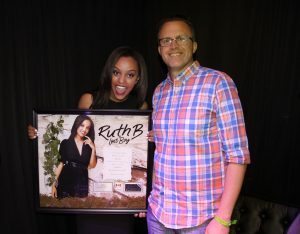 During the festivities, many of the nominees and performers were presented with award plaques commemorating their recent Canadian Gold and Platinum certifications. 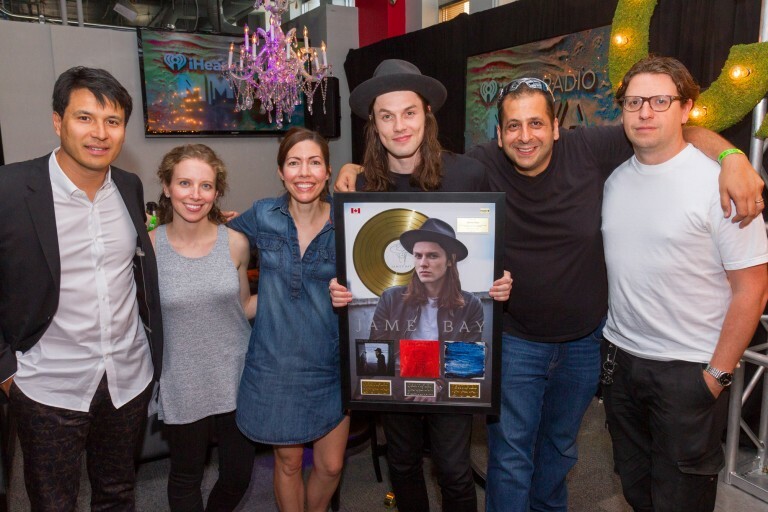 James Bay was presented with a custom Gold plaque for his 2015 debut album Chaos And The Calm, as well as the Gold single “Hold Back The River.” The English singer/songwriter’s Platinum hit “Let It Go,” which he performed on the broadcast, is also represented on the plaque. 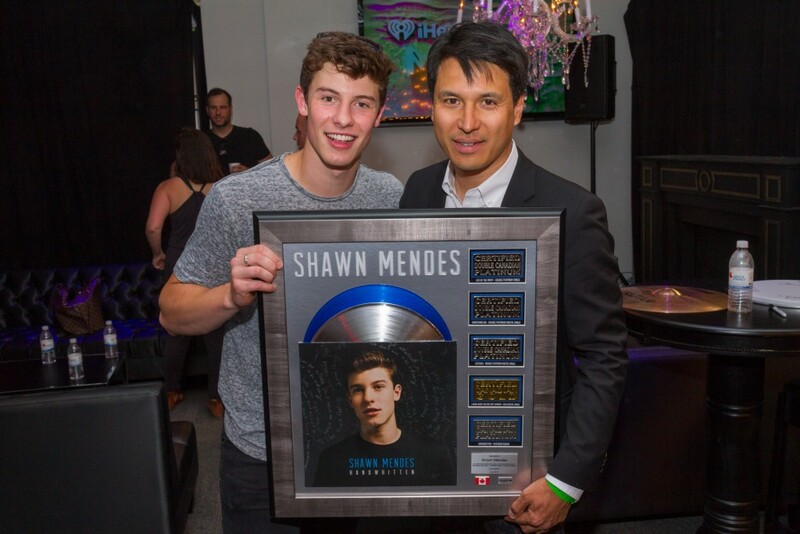 Canadian superstar Shawn Mendes was presented with a custom Platinum plaque for his album Handwritten. 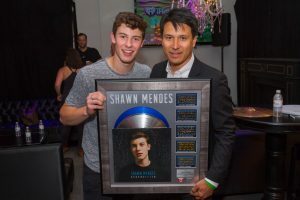 The plaque also represents the 2X Platinum certifications for “Life Of The Party” and “Something Big,” the Platinum certification for “Stitches,” and the Gold certification for “I Know What You Did Last Summer,” which won Best Pop and Fan Fave video. 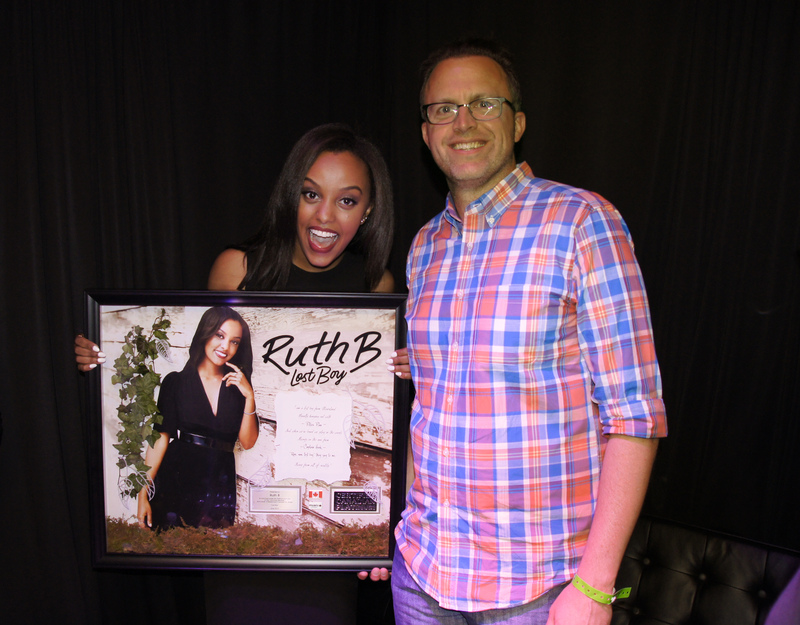 Edmonton, AB singer/songwriter Ruth B, seen below with manager Mark Cunningham, received her first Platinum award plaque from Sony Music Canada for her breakthrough hit “Lost Boy.” The 2016 Fan Fave Vine Musician nominee performed the song during the pre-show broadcast. 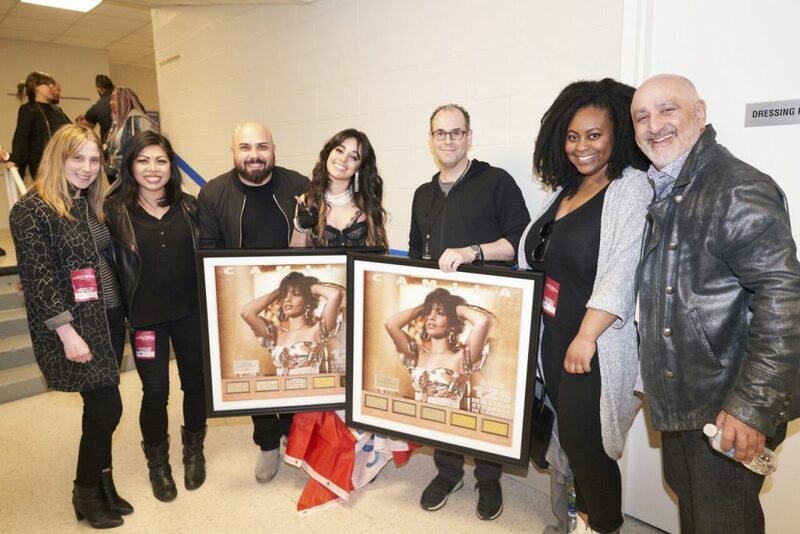 Sony Music Canada also presented Fave International and Most Buzzworthy Group winners Fifth Harmony with a Platinum award plaque for “Work From Home.” Later in the evening, group member Dinah Jane Hansen shared a photo with the plaque through Twitter. Fifth Harmony closed out the 2016 iHeartRadio MMVAs with a performance of the Platinum hit. 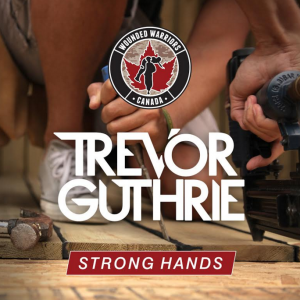 Juno-winning singer/songwriter Trevor Guthrie has just released his latest single “Strong Hands”, an acoustic song benefiting Wounded Warriors Canada, a non-profit organization that supports Canada’s ill and injured Canadian Armed Forces members, Veterans, and their families. While Guthrie has become known for his dazzling club anthems like the Gold-certified “Soundwave” and Double-Platinum collaboration with Armin van Buuren “This Is What Feels Like”, his latest emotional ballad aims to raise awareness and respect for Canada’s military Veterans. “Strong Hands”, written nearly 10 years ago, was inspired by Guthrie’s trip to Normandy, France and Holland for the 60th anniversary of D-Day, where he befriended many Veterns – including one man that lived down the street from his childhood home. The charity single can be purchased through iTunes and is available now. 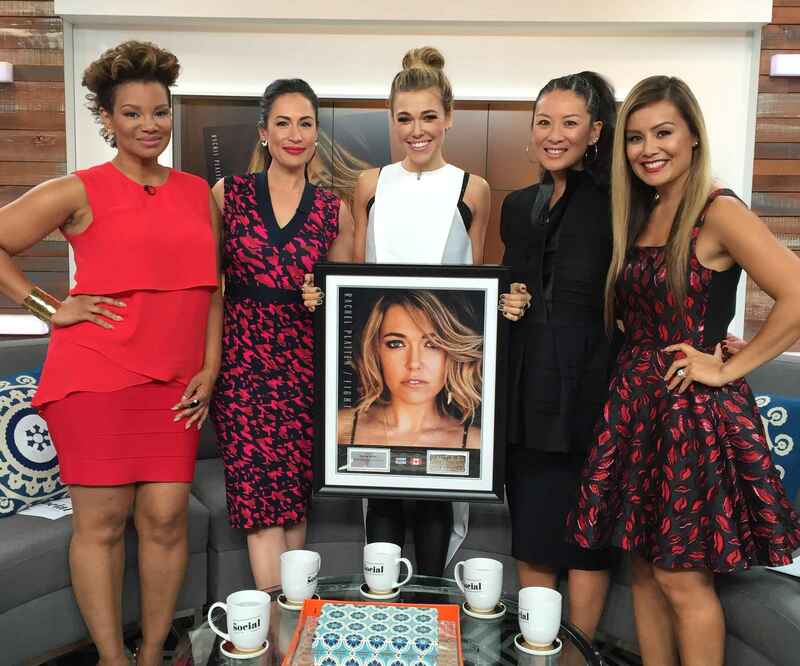 American singer/songwriter Rachel Platten stopped by CTV’s The Social this week, where she was surprised mid-interview with a custom Canadian Double Platinum plaque for her breakthrough hit “Fight Song” (Sony Music Canada). Watch the interview below which features Platten discussing her inspiration for the song, her friendship with Taylor Swift and connecting with her fan base before being presented with the award. You can also watch the video for “Fight Song” below.